Sokol Elmazaj holds a law degree from the Faculty of Law of the University of Tirana. He has been practicing law in Albania since 1998. 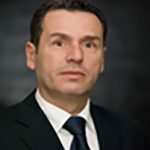 Mr. Elmazaj is currently partner at Boga & Associates, a premiere Albanian law firm established in 1994 and has offices in Tirana (Albania) and Pristina (Kosovo). 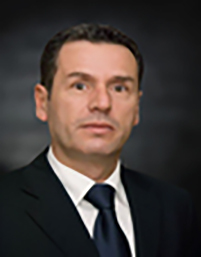 Mr. Elmazaj is also Country Manager of Boga & Associates' branch in Pristina. He is a well experienced legal business counselor as well as a reputable litigator representing foreign investors in disputes resolution, both before courts and arbitration. 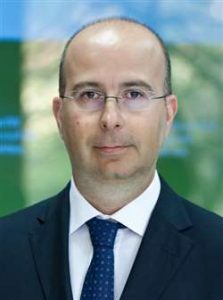 He has been recognized and awarded for several years as top ranking lawyer in Albania by Chambers & Partners (international legal market rating company), commented as “an excellent litigator with strong expertise in dispute resolution” and “the group’s most prominent figure... admired for his diligence and expertise in handling complex transactions”. For some years, he has pursued the legal academic walk teaching business, civil and labor law in New York University of Tirana. He had to suspend his academic activity three years ago in order to take over the legal practice of the firm in Kosovo. Mr. Hasolli possesses many years of experience as a lawyer in Kosovo. In 2008 he became Partner at Kalo and Associates. His work focuses on corporate, commercial and IP practice. Mr. Hasolli is a licensed Trademarks and Patents Agent. 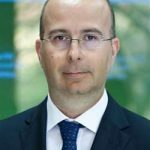 Mr. Hasolli completed the Continuous Legal Education Programs in 2006 and Bar Exam, Department of Justice also in Pristina in 2003. He received his Bachelor’s Degree in Law at the University of Pristina in 1990. Ms. Shah is a Legal Specialist with the USAID Contract Law Enforcement (CLE) Program, focusing on developing and strengthening the commercial law framework in Kosovo, as well as increasing awareness and use of Alternative Dispute Resolution (ADR) mechanisms to resolve disputes outside of the court system. She also works closely with the CLE Outreach team in organizing its "Put it on Paper" roundtables aimed at educating Kosovar businesses, from various sectors, on the importance and value of entering into written contracts. 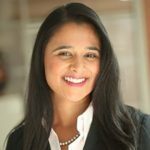 Prior to joining CLE, Ms. Shah practiced as a commercial lawyer at the law firm of Arnold & Porter LLP in its Washington, D.C. office. Her practice included negotiating complex international contracts, conducting investigations under the Foreign Corrupt Practices Act (FCPA), and general commercial litigation. Ms. Shah also worked as a law fellow in Kosovo at the Public International Law and Policy Group (PILPG), supporting local civil society to increase government accountability by promoting access to and demand for justice. Ms. Shah holds a juris doctorate from the Washington University in St. Louis Law School, where she focused on international law and participated in the Phillip C. Jessup International Law Moot Court competition. Ms. Shah completed her undergraduate studies at Mount Holyoke College. Dr. Iur. Gashi is a Professor of Law, and the current Dean of the Faculty of Law at the University of Prishtina “Hasan Prishtina”. He received his doctoral degree at the University of Bremen, Germany in Civil Law. 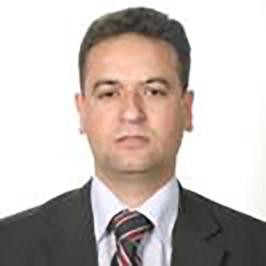 Professor Gashi teaches civil law at the University of Prishtina, and he is a member of the Academic Council of the faculty. Apart from the degree certificates, he has done academic research and training at Arizona State University and University of Bergen. Professor Gashi’s previous experience includes his work for the Supreme Court in Kosovo, the Government of Kosovo, the National Assembly, as well as “Haxhi Zeka” University in Peja. Apart from this, he has acted as a legal advisor for several international organizations, including the USAID, UNDP, and GIZ. Professor Gashi is a published author of academic books, commentaries to national legislation, and academic articles. 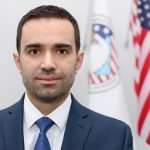 Arian Zeka is the Executive Director of the American Chamber of Commerce in Kosovo. He was appointed in this position in June 2012, after previously serving as a Deputy Director and Head of Policy Department since November 2009. Apart from leading implementation of an active program of services, activities, and events in support of the Chamber’s membership, he also promotes the public image of the Association by serving as the Chamber’s “ambassador-at-large,” and liaising on behalf of its Members with other leaders of Kosovo, international business communities, and with representatives of local and international government agencies. His other duties and responsibilities include establishing and maintaining productive working relationships with organizations and individuals relevant to the Chamber. 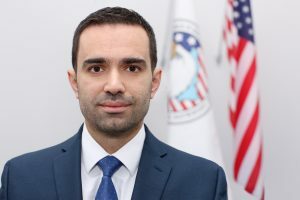 He represents AmCham Kosovo in most important state and inter-institutional economic mechanisms, such as National Council on Economic Development. During 2015, he was the chairman of the Consultative Council comprising of Ministry of Finance, Tax Administration, Customs, and two other business associations. During his leadership, the Chamber has more than doubled its membership, while in 2013 AmCham Kosovo was the Chamber with the largest membership acquisition among the 43 AmChams in Europe. Also, during his service, AmCham Kosovo established in 2012 the Charity Foundation, and has further strengthened the capacities of the Arbitration Center for provision of professional arbitration and mediation services. He is also ex-officio member of the Steering Council of the Arbitration Center.